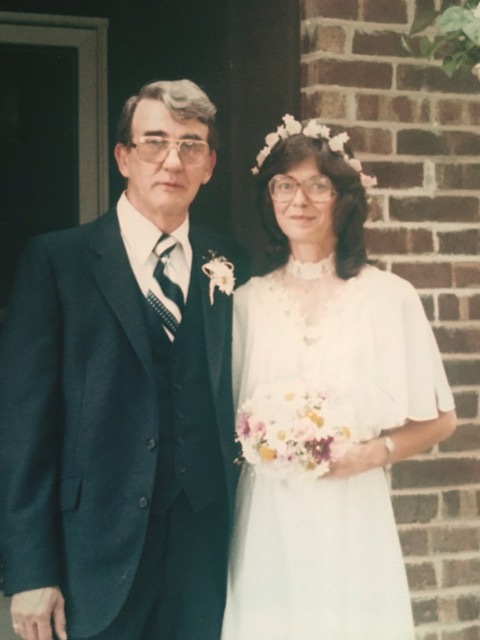 Evelyn DeGraff (aka Eva, Aunt Evie, Grandma, Mom) age 74 of Eagletown passed away on Monday, April 1, 2019 at her home. Evelyn was born on December 8, 1944 in Big Spring, Texas to the late William and Sophia Gamble. Mom had valiantly battled COPD for many years, but it was finally time to rest. Evelyn is survived by her son, Justin Flowers; myself Shellie, daughter Dona Couch; brother, Tom Gamble; sister, Eugenia Darsey; grandchildren, Summer Fritsche, Ashley Lumia, Breana Burk, Mason Couch, Madison Flowers, Michael Flowers, Sabrina Kratzenberg, and Hattie Couch; great-grandchlidren, Teagan Fritsche, Shevy Lumia, Lilah Fritsche, Rowan Fritsche, and Maxx Lumia; numerous nieces, nephews and cousins. Mom was loved deeply and will be missed by my brother’s wife Jeanie Flowers, who cared for mom during her final COPD battle this past year. Jeanie, we can never repay your kindness and compassion for mom. Mom will also be missed terribly by my brother’s former wife, Melissa Flowers. Melissa, thank you for loving on mom all these years. Mom graduated from Sam Houston high school in Houston, Texas in 1963. She was an incredibly smart woman and excelled at every job she had, working as a telephone operator, a purchasing agent, and finally retiring from State Farm. When mom found the love of her life, David DeGraff, my brother and I were blessed with a new older sister, Dona DeGraff Couch. All three of us are holding each other tighter today. Mom was a talented photographer, avid bird watcher, voracious reader, gifted gardener, and had an eclectic taste in music-loving everything from Barbara Streisand to Mac Davis to II Divo and Willie Nelson. She also loved OU football, the Houston Texans, traveling with David, casino outings, making batches of pinto beans and spicy chili - oh and she loved writing in Barbara Jordan for every presidential election. While mom had many passions, her greatest loves were her late husband, David DeGraff, her grandchildren and great-grandchildren. I am pretty sure Justin, Dona and I ranked fairly high, but she was her happiest when doing anything by David’s side and loving on her grandbabies; this completed her. Mom was raised Catholic but didn’t agree with them on several things. She did believe in God but decided that she preferred Native American Spirituality. We once had an hour-long conversation about spirits and the wind. A private family Celebration of Life is planned Saturday, April 6, 2019 at a fabulous cabin in the woods of Oklahoma to honor mom’s love of nature and Native American Spirituality. We love you mom-we miss you-and we will be putting pennies in the slot and hoping you send us a jackpot. Cheers momma! You will always be on our mind!